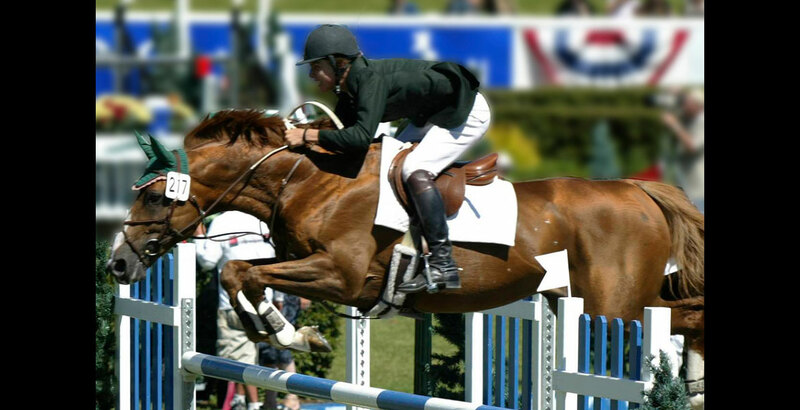 Uno de Laubry was a top competitor in the international show jumping ring. 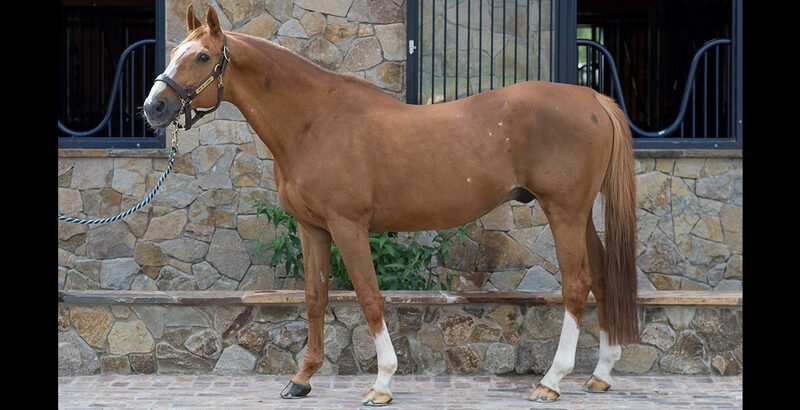 In 2011, he won the $31,000 Blenheim Jumper Classic Grand Prix, the $31,000 Showbiz Magazine Welcome Stakes, and the $53,000 Hits Grand Prix Desert V in 2012. 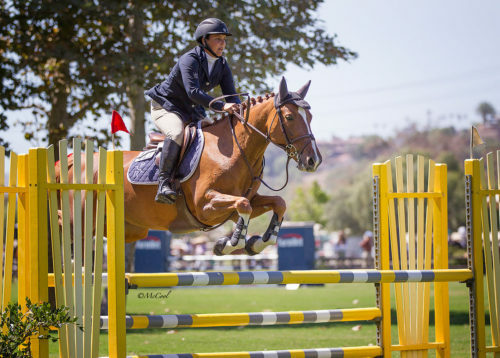 He earned second place finishes in the 2011 $40,000 Menlo Charity Grand Prix, the $40,000 Showpark Summer Classic Grand Prix, the $31,000 Hits Desert Circuit III Grand Prix, and an eighth-place finish in the $1 Million CN Masters Cup as well as many other top placings in his international show jumping career. 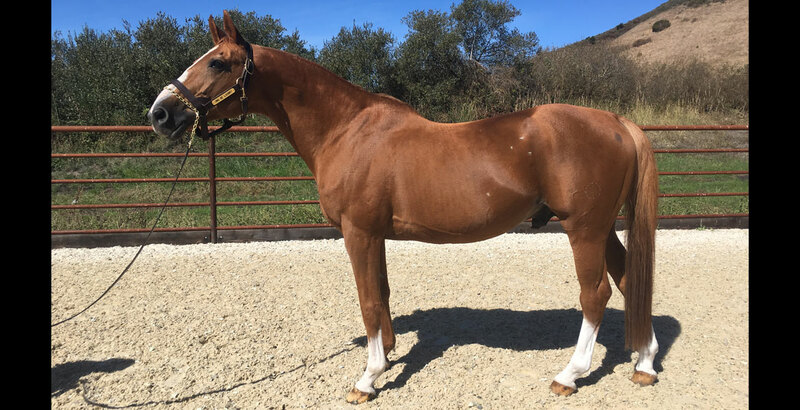 This Elite Belgium Warmblood stallion is currently enjoying his retirement at Pomponio Ranch with daily excursions to his paddock and plenty of loving attention. 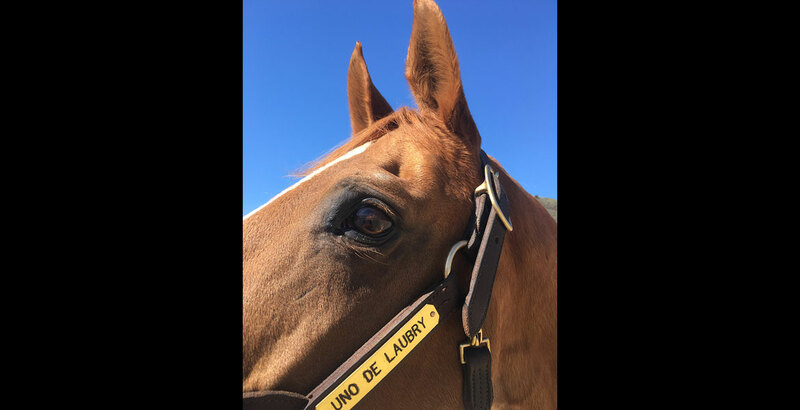 Uno de Laubry is a great producer of promising young horses. 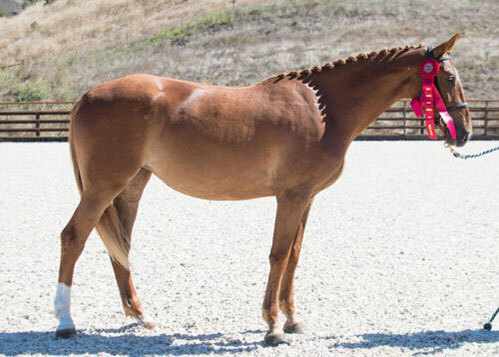 He has two offspring competing in Grand Prix’s in Europe. Diebrich de Kalvarie (2003) competed in select World Cup Qualifiers. Focus de Laubry(2005) competed in 1.45 CSI 2* in September and has consistent results in the 1.40-1.45. 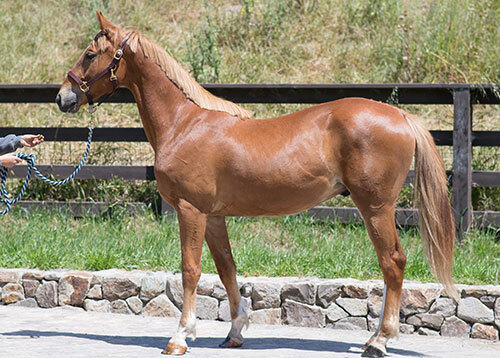 His foals have all earned Premium in their BWP Keurings. 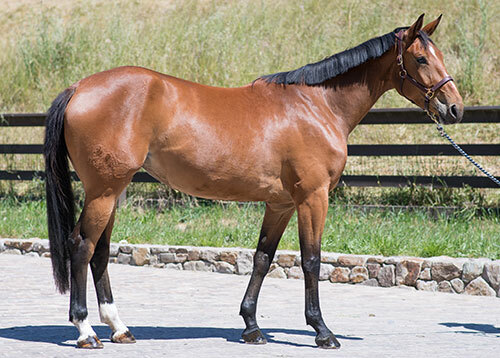 Some of his progeny’s results include Le Typhoon VF as the High Score Colt for 2011 and Leonora as the second-High Score Filly in 2011. That same year, his yearlings were second and third in the Yearling Futurity and Just Uno Mas was the two-year old Futurity Champion. 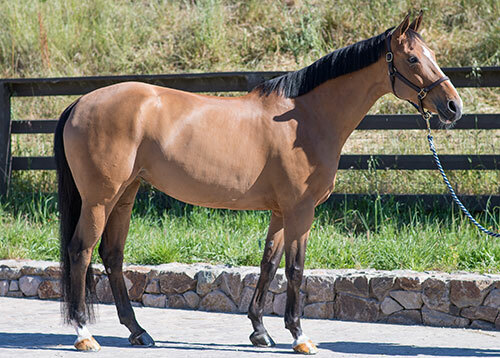 The following year Lenora and Le Typhoon VF were the yearling winners for 2012; his daughter Kahlua VF tied for third place alongside the two-year old winner Kingston Uno. 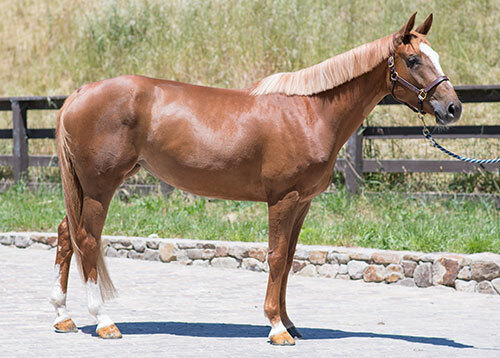 In 2013 Kahlua VF tied for second place in Three to Six-Year Old Mares, earning her “E-Label” and mare approval. That same year Leonora tied for third place in the Two-Year Old Futurity. Uno’s Ima Queen Bee won the Four-Year Old West Coast Futurity in 2012 followed by Just Uno Mas’s win in 2013. In 2015, Uno’s yearlings scored very highly for their Keuring including Ovation PR (Uno x Darco) with a score of 82, On Your Mark PR (Uno x Caballo) with a score of 79, and Ochocinco BC (Uno x Darco) with a score of 78. His two-year olds also finished strong including Navarre WTF (Uno x Liocalyon) with a score of 79, Nightlight PR (Uno x As de Thurin) with a score of 78, and Nuage PR (Uno x Giradelli) with a score of 76. 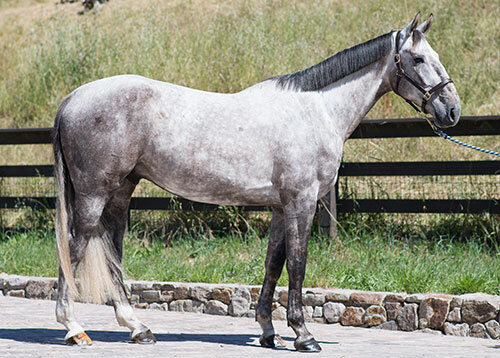 Ovation PR continued to impress in the following years with her second-place tie in the two-year Old Futurity for 2016, and winner in the 2017, 3-6 year old mares, earning her E-Label. 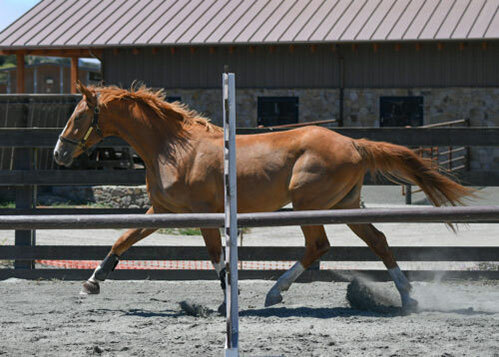 All of Uno’s offspring are athletic with distinct presences, good minds, and very correct conformation and movement.